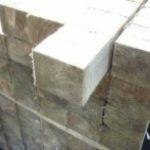 We have a selection of wooden garden gate posts that are ideal for the traditional path, yard and entry gates that generally have widths of 900mm through to 1.5m. 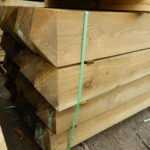 We have sizes suitable for gates that are 3ft high through to gates that are 6ft. 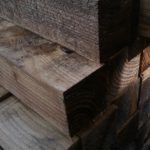 The three common sizes that we would recommend using for these smaller gates are 4 inch by 4 inch, 4 inch by 3 inch and 4 inch by 2 inch timber posts. 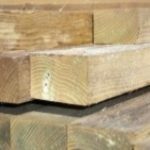 All our posts are sawn tanalised treated timber and sourced from environmentally sustainable sources. This garden gate post is ideal for hanging most of the standard 6ft high by 3ft wide type yard gates, we would recommend you use this gate post as a hangar post for any of the yard or path gates that are 4ft high or larger. When ordering you will have to bear in mind that you need about 2ft buried in the ground in a concrete foundation. 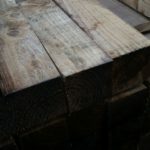 We can supply these garden gate posts in several different length options to suit. 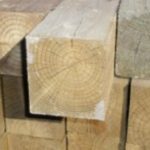 We offer this post in 6ft, 7ft, 8ft, 9ft and 10ft overall lengths. If you are looking to fit a gate to a wall this post is the ideal option. Simply drill and fix to the brickwork and then hang the gate off the timber. If you need any help deciding which post is best for your circumstances call us on 024 76 588 909 and we will be pleased to recommend the correct post size for your gates.